A flat/apartment owner is selling his flat to an intending purchaser, who is desirous of availing house loan from bank for purchasing the same. 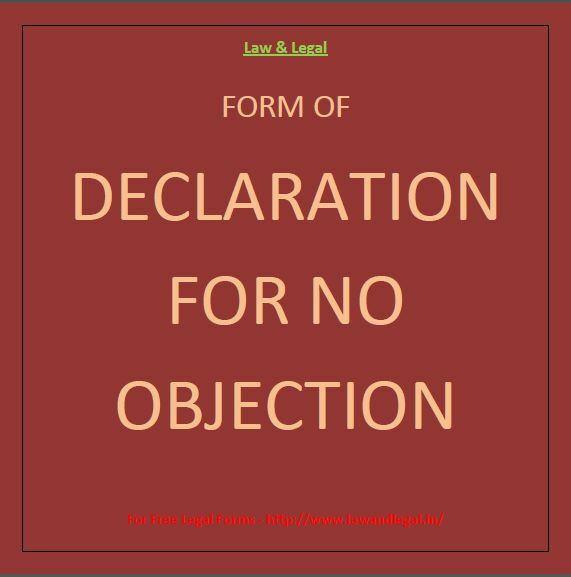 The bank requires a No-objection from the seller in the form of a Declaration or Affidavit. Here is the form of such Declaration given below. A link to download PDF format hereof is also given below. 1. I am the sole and absolute owner of a self-contained residential flat having a super built up area of __ sq. ft. be the same a little more or less, being Flat No. __ on the __ Floor of the Building, namely _______ Apartment, situate and lying at ____________, together with the undivided impartible proportionate share of the land in the said Premises and other rights appurtenant thereto and the said flat is free from all encumbrances and has a clear marketable title (“said flat”). 2. On or about ________ I have entered into an Agreement for Sale with _______, son of _______, presently residing at __________ (“Purchaser”) in respect of the said flat, on the terms and conditions and for the consideration mentioned in the said Agreement for Sale. 3. In terms of the said Agreement for Sale till date I have also received a sum of Rs.____________/- (Rupees_______________) only as an advance and part payment of the consideration money from said Purchaser. 4. In terms of the said Agreement for Sale said Purchaser is at liberty to avail loan facility from any bank or financial institution for the purchase of the Said Flat, for which I express my unambiguous consent and tender no-objection. 5. I further declare that upon receipt of the balance consideration money from and/or on behalf of the said Purchaser within the stipulated time I shall forthwith execute and cause registration of necessary Deed of Conveyance in respect of the said flat in favour of the said Purchaser and shall also hand over vacant and peaceful possession thereof to the Purchaser. 6. 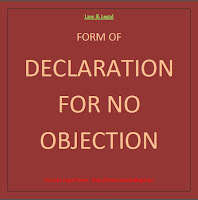 I confirm and declare that I in my free mind and without any coercion have given the aforesaid no-objection and/or consent. 7. The statements made in the aforementioned paragraphs are true to the best of my knowledge and belief. I sign this declaration on this 05th day of November, 2012 at _________.